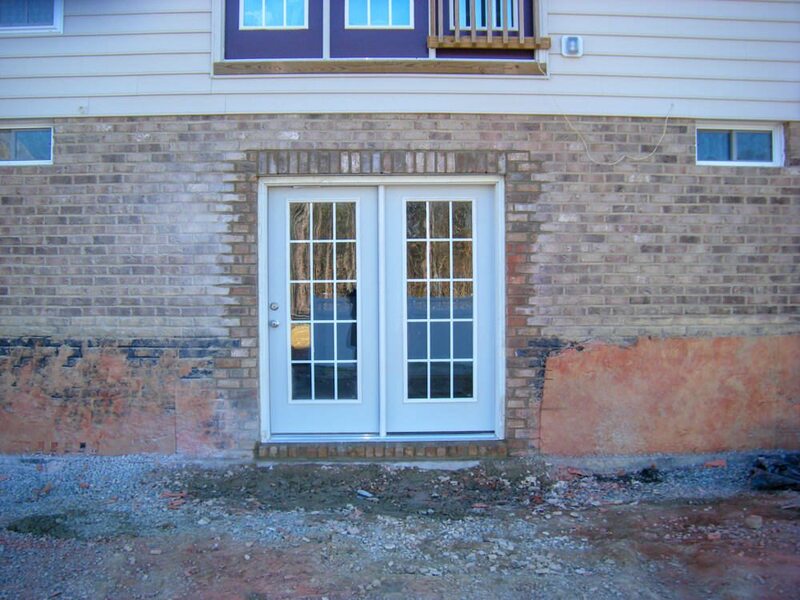 Before, during and after pictures of new basement door being installed in concrete and brick wall of basement. We excavated earth berm that was placed against rear wall of home. 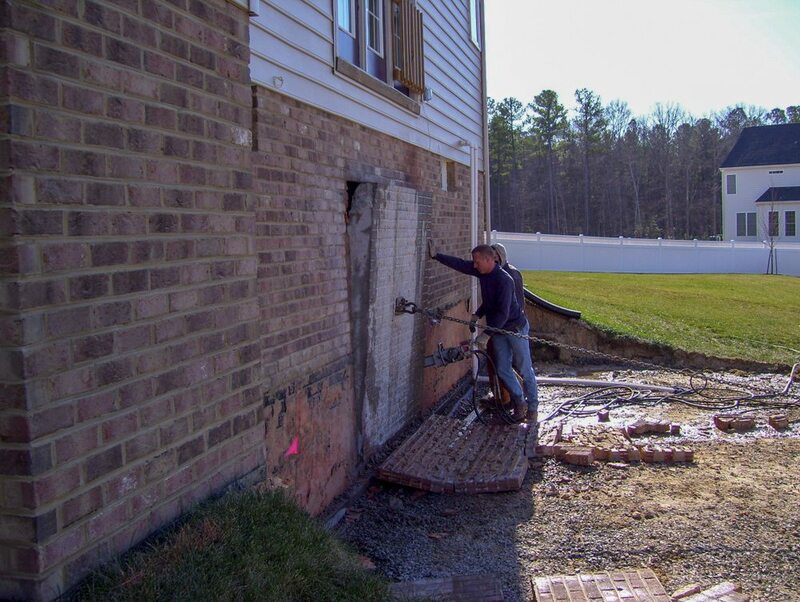 Poured concrete wall with brick veneer that was removed was over 12″ thick. Altered opening had brick rowlock header and sill with sides re-toothed in for finished edges. The door that we installed was a Therma-Tru Smooth Star 15-lite french door. Future patio will be installed in the spring. We can install windows and doors in almost any area of your home. Structural walls or non load bearing walls are not a problem. 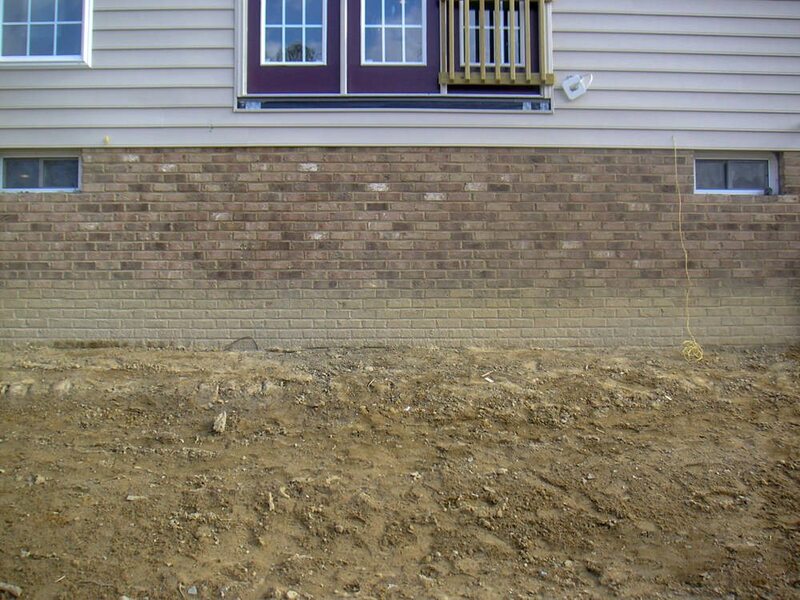 The photos on this page show before, during and after pictures of new basement door being installed in concrete and brick wall of a basement. A new Therma Tru French patio fiberglass door is installed into cut opening. The door that we installed was a Smooth Star 15-lite GBG (Grids between the glass). The newly added opening has a brick rowlock (brick standing on end) header and sill with sides re-toothed in for finished edges. Visit our contact us on the website and we will be back to you as soon as possible. Also, visit our Windows and Doors Section of the website to see examples and our finished jobs. Click here to get a quote.